After many festivals we’re pretty convinced now that books and the seaside make for a winning combination. But don’t take our word for it – join us and see for yourself. Our two main venues are both ideally situated in the town centre, within walking distance of plenty of cafés, restaurants and shops (brilliant bookshops amongst them, of course!) and just a few minutes from the beach. It’s the ideal set-up for a friendly and easygoing festival atmosphere, and with any luck the sun will be shining as you stroll between events. As for our previous festivals, we will be holding many events in the beautiful Orwell Hotel. The hotel’s spacious reception rooms are the perfect venue for our speakers and guests, and we are thrilled to once more have access to both His Lordship’s Library and the Elizabeth Suite for talks. We will once more be using the area next to the Elizabeth suite as a dedicated festival space, containing a book shop, ticket desk and author signing area. This will be a place to relax, maybe read your new book purchases or chat about the interesting event you’ve just attended. Additionally, there will be a café, specially for festival audiences, serving sandwiches, soup, salads, cakes, teas and coffees throughout the weekend. 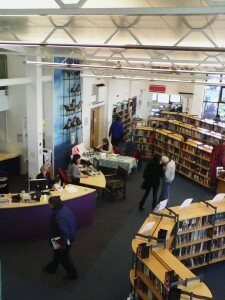 We are very lucky to have a wonderful public library in Felixstowe with plenty of space to host our children’s events. This is also the place to submit competition entries and of course it’s where you can borrow books by all the authors coming to the festival. The friendly staff team at Felixstowe library will be happy to deal with any queries about the festival prior to, and during, the weekend.